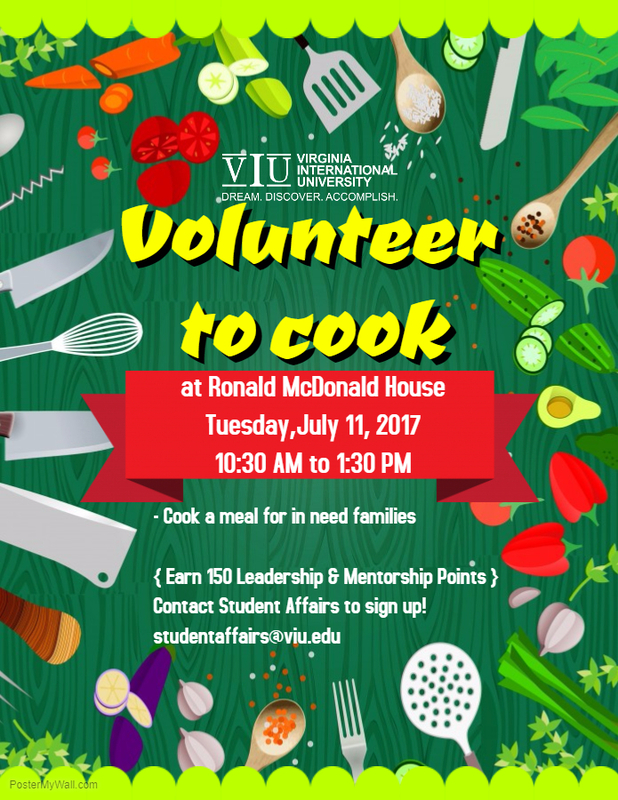 Students will go to Ronald McDonald House, a local charity, to cook food for the people staying at the house. Students will meet at VIU and go to the location together. To sign up for the event, email studentaffairs@viu.edu.